Diviac powers SBlogbook, ScubaBoard's new logbook offering. New service offering for ScubaBoard members. 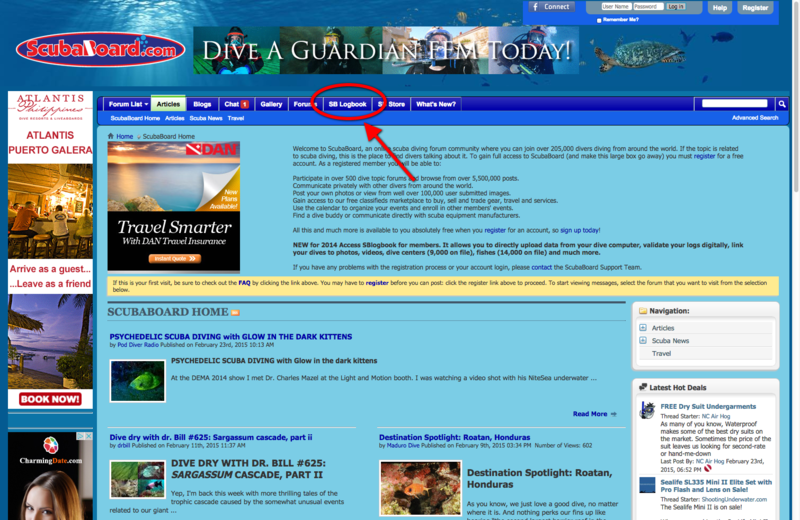 As an extension of its service range, ScubaBoard is now offering its registered users an advanced digital logbook, which is accessed directly from the scubaboard.com website. ScubaBoard's forum and SBlogbook are integrated through single sign-on, which means that SB users can directly access their logbook without having to create a account or log in separately. All of diviac's powerfull features. SBlogbook offers the same unique functionalities as diviac. For example direct dive computer connectivity, a database with 14,000 fish to identify and link to dives, over 10,000 dive centers and 30,000 dive sites. 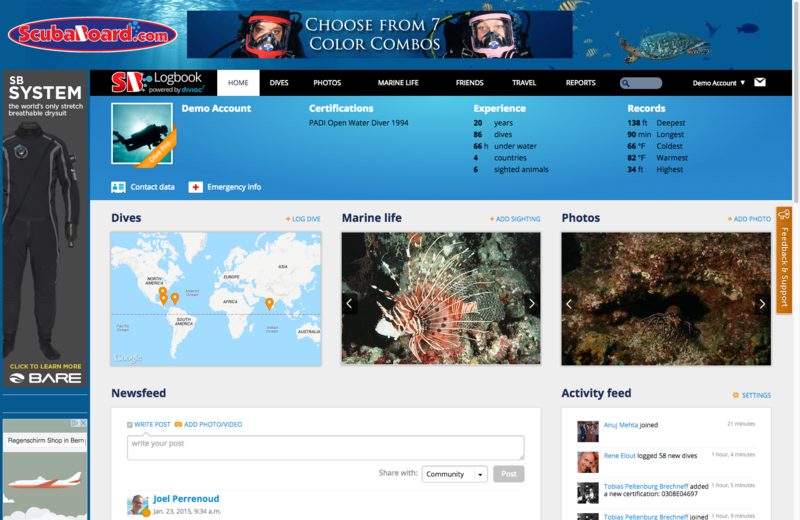 Users can also share their dives socially on Facebook, Google+ and Twitter... and much more.